A fresh, light, quick cooking dinner right there my friend. Cook the pasta, toss with ham, chilled peas, a simple lemon vinaigrette dressing and some Parm. 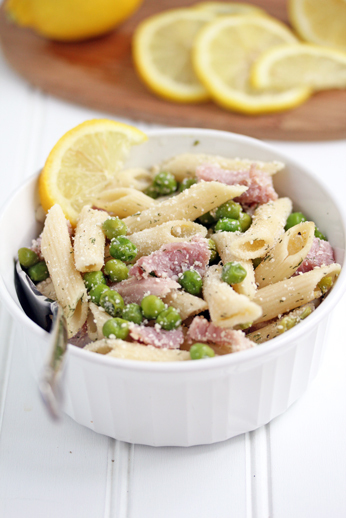 See the complere 31-Minute Dinner Recipe for Lemon Pasta with Ham and Peas here!